We maintain high standards when choosing window manufacturers. We spend time researching products all across the industry, and we can assist you as the consumer to make the best choice for your home and your budget. 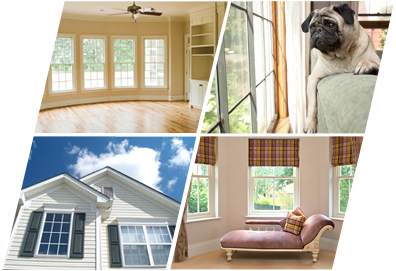 We choose to offer high quality windows, with several price points to meet your needs. All virgin vinyl, which resists discoloring due to weathering. Stainless steel constant force balancing system, which will ensure effortless operation of your windows. A network of strategically placed air chambers, which will increase the strength of the frame, provide additional insulation, and reduces environmental noise. Positive interlocking meeting rails, with double fin seal weather stripping. This will provide the most airtight seal available on the market today. Tilting top and bottom sashes for ease of cleaning. The addition of Low-e coating, which filters long wave radiation, and Argon gas, which adds an insulating layer between panes of glass, can further reduce your energy costs. Local manufacturer, for ease of access to parts and services.